Dorothy is an award winning broker honored for her success in sales, her dedication and her professionalism. She grew up in Manhattan, attended NYU and began her career in Broadway theatre production. She subsequently co-founded Signature Sound, Inc., a leading music production, publishing and licensing company. As Vice President, she produced the themes and background music for several television soap operas, game shows and sport shows and ran music publishing companies for several major companies. She also negotiated the rights to use published music in film, TV and Commercials. Dorothy spent five years as Director of Music Affairs at McCann-Erickson Advertising, interacting with the creative and account departments, overseeing the choice and production of music used on all their commercials and negotiating music licenses for all their major advertising campaigns.. Being a native Manhattanite gives Dorothy a unique knowledge of all New York has to offer. Dorothy is very insightful, tenacious and energetic. She immediately tunes in to the needs of her clients who appreciate her integrity, knowledge of the market and most importantly, her patience and commitment. In the highly stressful process of buying and selling properties, Dorothy is a calming influence who makes the process easy every step of the way. Her attention to detail as well as her creative, design and aesthetic sensibilities have been a tremendous benefit to both buyers and sellers. She recognizes the value of 'time well spent' as well the importance of complete discretion. Dorothy has turned her unparalled commitment to her customers into a brisk referral business from satisfied clients. She is a savvy negotiator with a strong work ethic and an astute business sense who is very successful bringing the buyer and seller together. 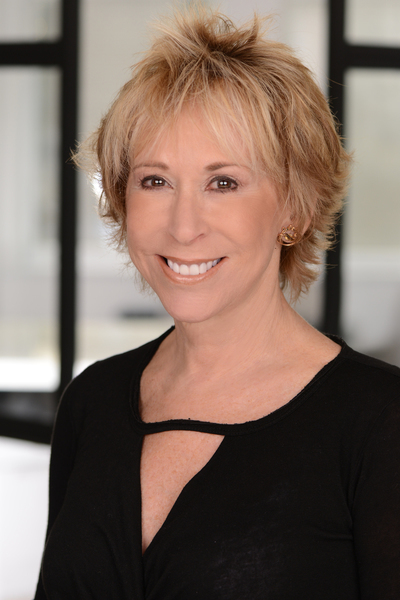 Dorothy is also a member of the prestigious NYRS, (Real Estate Residential Specialist), a select group of brokers committed to the highest level of professional education and who have achieved an advanced level of study and the top tier of success in sales. My experience working with Dorothy Schrager was positive from beginning to end. Thanks to Dorothy’s market knowledge in New York City residential real estate, I was able to find my perfect pied-a-terre quickly. Dorothy’s approach to understanding my needs was effortless and I would highly recommend Dorothy to prospective buyers in Manhattan. Dorothy is a top-rate person and professional! Dorothy’s help was paramount to the success of me finding my new home. Her council was invaluable to me. She was patient and diligent. She lent her vast knowledge and experience to me – something that I needed. She’s personable and yet, she is the epitome of professionalism. She didn’t waste my time showing me things that weren’t what I had described when I had told her of my needs. Yet she exercised discretion and superior judgement in showing me some things that fit my needs that I had not considered. Without Dorothy’s guidance and help, I wouldn’t be living in my home. My home is perfect for me. I have a new appreciation for the phrase “There’s no place like home,” thanks to Dorothy. Dorothy oversaw both the sale of one apartment and my purchase of another, and did so in a very competent and professional manner. She has a fine eye for detail and is very thorough and efficient in preparing for closings under tight deadlines. Dorothy was always available to discuss the intricacies of my transactions. She interacted with other brokers in a calm and friendly way. She always kept her eye on the big picture while not neglecting the details that are inherent in every real estate transaction. I wholeheartedly recommend Dorothy as the consummate real estate professional. I have been working with Dorothy since 2008, when I purchased my first apartment on the Upper East Side. 6 Years later when I moved Downtown, I worked with Dorothy to sell that same apartment. Dorothy is extremely professional and always a pleasure to work with. She guides you through the process and is always there when you need her advice. She has an upbeat personality and a tremendous work ethic. Dorothy is a dream broker to work with. Testimonial from Jean and Willy S.
We are pleased to have this opportunity to write a letter on behalf of Dorothy Schrager. We have worked with Dorothy since 2008. During this time, Dorothy has been our realtor for the purchase of two apartments and for the sale of one of them. We always looked forward to meeting with Dorothy. It was a pleasure to work with Dorothy, because she was always cheerful, friendly and maintained a positive outlook. We were very impressed with her knowledge of the market. She was always very diligent and responsive to our concerns. Although we are not the easiest people to work with, Dorothy was always very patient with us and helped us find a resolution to every problem that we encountered. We highly recommend Dorothy as a realtor for the the sale or purchase of real estate. We have worked with many realtors in the past forty years, and Dorothy is the best. Dorothy has the highest integrity and is one of the hardest workers I know. She is calming and competent in a very high anxiety filled business. Use her for your real estate needs! Dorothy is a highly dependable real estate agent, always on time, very detail oriented and always has the client’s best interest in mind. She is very thorough and always looking for the best way to show your property. Testimonial from Paola and Mattia M.
I’m sending you a letter of appreciation because after 7 years in which both my husband and I have been working with Dorothy on the purchase and then sale of our apartment, we would like to express her our gratitude. Dorothy is an unparalled professional, hard worker, detail oriented, very organized and resourceful. She is very knowledgeable of the real estate market values and an expert during the transaction process at preventing problems and solving the ones that arise. She is always on top of every detail and no stone is left unturned. Not only has Dorothy achieved our goals, she has always surpassed them. She keeps her clients always abreast about how the market is going, providing comparables and evaluating pros and cons of every decision. Her patience together with her elegant way of doing business makes it a pleasure to work with. Her knowledge of the real estate market together with a wonderful way of approaching clients (either potential sellers or buyers) makes her a 360 degree high end real estate broker. Feel free to contact us for any further information you may require. We have known Dorothy for over 30 years, and most recently, Dorothy has been our broker during the recent sale of our apartment. Dorothy demonstrated an incredible work ethic, integrity, and extensive knowledge throughout the entire process. She completed the sale with finesse, determination, and efficiency. In addition, she was patient and hardworking, never hesitating to go that extra step to ensure a successful outcome. Needless to say, my husband and I were extremely pleased with Dorothy’s expertise at all times throughout the course of the sale, and if the opportunity presented itself, we would not be uncertain for one second to use Dorothy as our broker again! Testimonial from Hillary and David S.
We have been working professionally with Dorothy Schrager since the purchase of our first apartment over 9 years ago. We have since used Dorothy to sell that apartment and purchase the apartment that we currently reside in. Our experience working with Dorothy has not only been a positive one but one with a great outcome. Dorothy is extremely professional, very knowledgeable and a pleasure to work with. She is accommodating and reliable and is always putting the interest of her client as the first priority. Dorothy is a wonderful broker, very professional and an expert at what she does.